You graduated from a college or a university and now you are looking to establish yourself in the industry? You would like to pursue a career in academia but you are not sure what the right steps to success are? You graduated from a college or a university, have worked and you are now looking to make a career transition? These or similar questions show that your concern is in the right place with me. As an academic, you have already proven that you are self-determined and motivated to be successful! Unfortunately, these characteristics are no guarantee that you will also get the right job with the right company, in the right position, with the right salary. I can help you make the right decisions in regards to your career. Don’t waste time trying new approaches that might lead nowhere! You are invited to browse my webpage and find out about me, my coaching philosophy, or why I founded ADGCareerCoaching. Please feel free to contact me with questions or concerns. 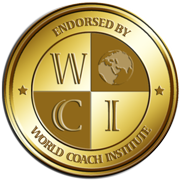 As a coach trained and certified according to the standards of the International Coach Federation, I guarantee full confidentiality.